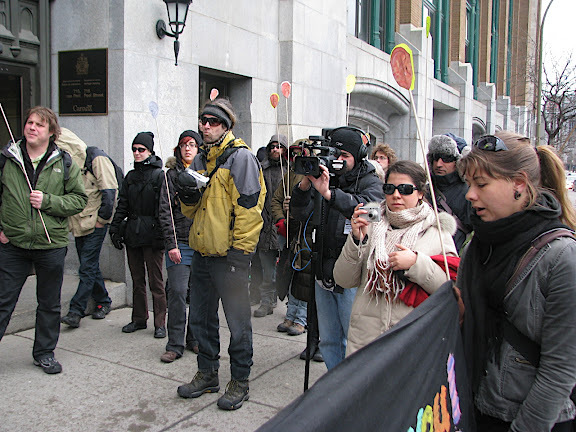 March 29, 2012 - Around forty people gathered this morning outside the offices of the Canadian Security Intelligence Service (CSIS) in Montreal to 'profile the profilers'. The group photographed, recorded and questioned people entering the offices. 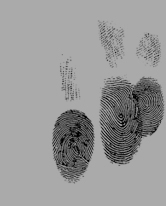 Security agents quickly closed the doors and tightly controlled entries into the building. 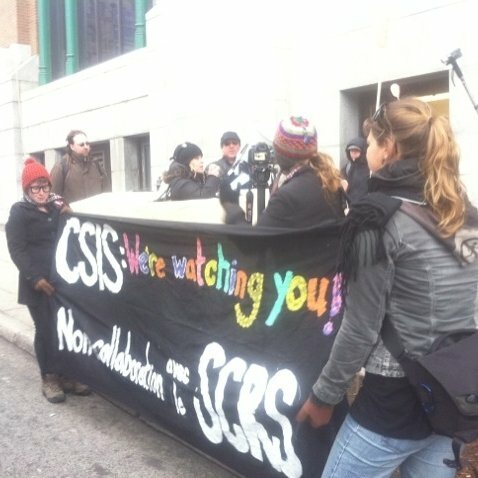 "Our action this morning aimed to turn the tables on CSIS, whose agents routinely conduct intimidation visits to homes and workplaces, ask inappropriate questions about political beliefs and religious practices, and harass people based on their profile and associations," said Mary Foster, one of the organizers of the morning's action. "When people fight against austerity measures, political repression increases. We saw that two summers ago in Toronto at the G20 summit, which was preceded by a round of visits by CSIS, and we are seeing it again now with police brutality in response to the student mobilizations against fee increases. We have to speak out against this kind of repression that aims to keep the population silent and complacent," said Mathieu Francoeur, another organizer and an anti-capitalist activist in Montreal. "Immigrant communities, especially Muslims and Arabs, face the worst abuses from CSIS, which acts with complete impunity in a legal black hole, taking full advantage of the vulnerabilities that many immigrants face," added Foster. Someone who was visited by CSIS testified about how the agents pressured him to work with them, using a veiled threat. The action also featured a surprise visit by CSIS head Richard Fadden - or perhaps a look-alike. Fadden launched into a vigorous defense of the use of torture before he was booed away from the microphone. A series of media revelations since late November 2011 have shown the extent to which CSIS trades in torture and is supported by the government in doing so. The theatrical action was part of the CSIS Watch campaign of the People's Commission Network, publicly launched at a press conference in January 2012. Almost eighty organizations - including student groups, unions, activist collectives, community organizations - have endorsed the call to cease all cooperation with CSIS. 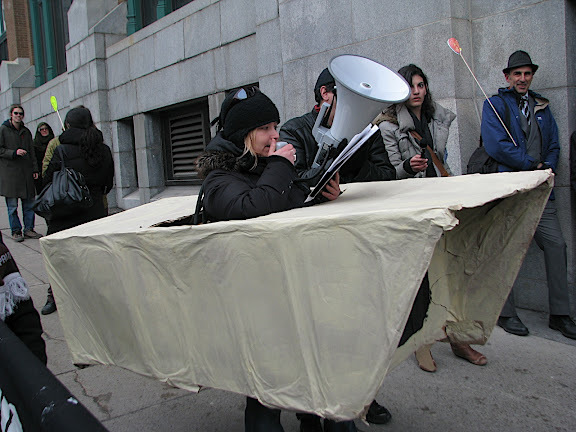 The action also takes place in the context of a month against police brutality and political repression in Montreal. In 1984, a new domestic intelligence and security agency, the Canadian Security Intelligence Service (CSIS), opened shop. CSIS plays a quiet but key role in creating a climate of fear and suspicion that legitimizes racism, the repression of dissent, and increases in state power. It also provides the context for the criminalization of social movements, the oppression of immigrants and the justification of foreign occupation by creating an internal "enemy". 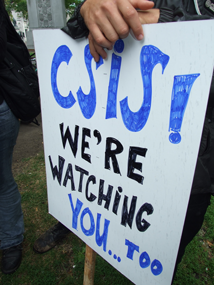 Under cover of "national security", much of what CSIS does is shielded from public scrutiny. This has allowed it to act with virtual impunity. The People's Commission set up CSIS Watch to monitor CSIS and encourage solidarity among communities harassed and targetted by CSIS. CSIS Watch encourages total and complete non-cooperation with CSIS as the best way of protecting ourselves and maintaining unity and solidarity in social justice movements. We encourage people in a precarious position -- due to your immigration status, pending criminal charges, probation, parole, or any other reason - to never talk to CSIS alone. Tell them to contact a trusted lawyer of your choice and then refuse to say anything else.